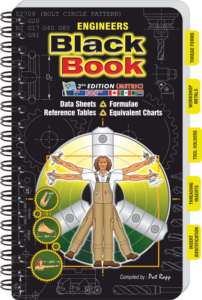 The ENGINEERS BLACK BOOK is a Technical Engineering Resource Book consolidating the most commonly used Engineering information into a easy-to-read and convenient user friendly format. The ENGINEERS BLACK BOOK has been manufactured with specially designed paper that offers superior protection for the rugged user. Each page is highly durable and tear resistant, in addition, each page surface is glare free for easy reading in bright conditions. If kept in your back pocket, toolbox, truck floor or used in the field or in a hard workshop environment – each page is protected against dust, wear and in the case of handling the book with greasy hands – no problem – each page is barrier protected and can easily be wiped clean without stain. 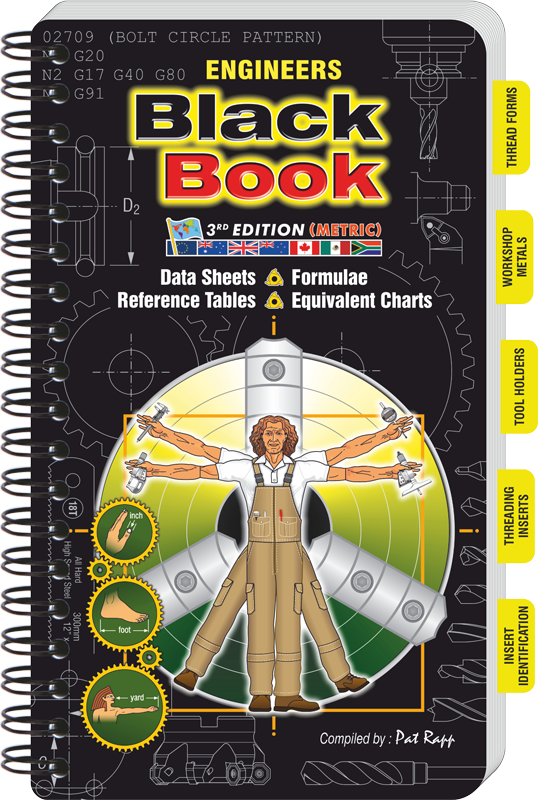 Whether you are a Designer, Engineer, the Engineers Black Book is an invaluable tool for Apprentices, Trainees, Tradesmen, Machinists, Machine Shops, Tool Rooms, Technical Colleges, Fabricators, Sheet Metal Workers, even simply as a gift to a colleague. Somta has also taken limited stock of the Electrical Black Book. For more information on this book or the Engineers Black Book visit their site on www.electricalblackbook.com. 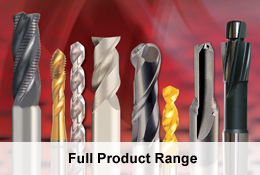 Distinctive geometries, application agility and coating toughness all make SOMTA TOOLS proud leaders of World Class Cutting Tools that can endure in any machined material.